Though it's not quite Las Vegas, the Oklahoma City metro area has a number of casinos, as state law allows them on Native American tribal land. With a variety of gaming options available, here is a listing of the major Oklahoma City casinos with information on the types of table and electronic games offered as well as details on entertainment, bars, dining and more. Remington Park, located in Oklahoma City's Adventure District, is the metro's horse-racing track, and in 1995 it added a "racino" that features 700 electronic games. There are no table games, but Remington has a variety of restaurants and bars, and features live music at the Wild Rush Bar and Stage. Operated by the Chickasaw Nation and located in Norman, Riverwind Casino is the largest casino in the metro area at 219,000 square feet. Not only are there over 2,000 electronic games and over 50 tables for blackjack and poker, but Riverwind is also home to some marquee concerts and events in its Showplace Theatre. An adjoining 100-room hotel opened in February 2009. Only a short drive from southwest Oklahoma City is the Newcastle Casino. It's not as big as some of the others on this list and doesn't have a hotel but, like Riverwind, is operated by the Chickasaw Nation. Newcastle Casino features electronic games, 14 table games, and a couple of restaurants. Located near El Reno, about a 35-minute drive from downtown Oklahoma City, Concho's Lucky Star Casino opened in the mid-1990s and offers over 1,000 electronic games and slots, including many of the Vegas-style favorites. In addition, the casino features blackjack and a 24-hour poker room. Live performances by local and regional bands are common on weekends, and the casino has a large restaurant/bar. Thunderbird Casino in Norman is one of the oldest Native American casinos in the state, opening in 1987. 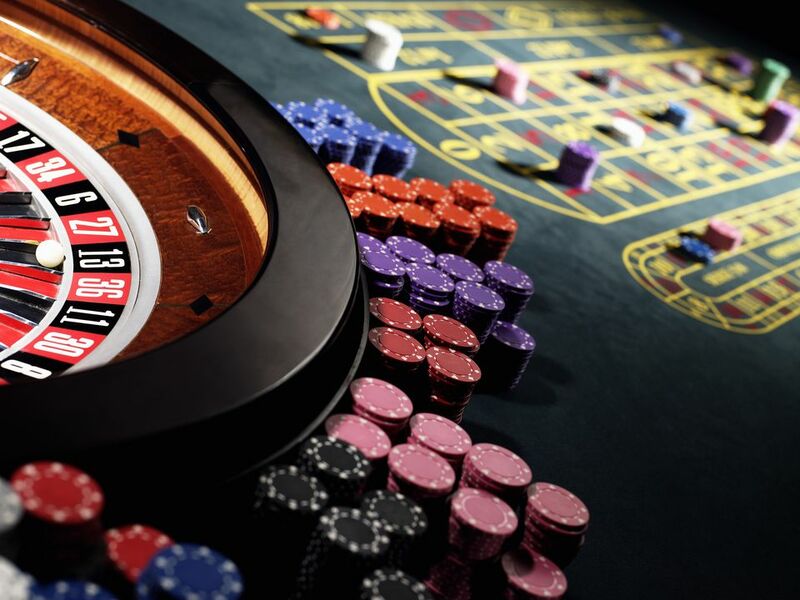 It features just over 400 electronic gaming machines and 13 tables with blackjack and poker. There is also a full restaurant and bar that has live music on weekends. Take the short drive east on I-40, about 30 minutes or so, to the Grand Casino Hotel & Resort outside of Shawnee. Not only are there plenty of electronic and table games, but the property now features a top of the line hotel built in 2013. Also, play a round of golf at the 18-hole resort course. Though smaller than many other facilities on this list, the Sac & Fox Nation Casino, now known as the Black Hawk, is working to make improvements and expand. In addition to nearly 700 electronic games and several table games, the casino has a restaurant/bar and an outdoor amphitheater.